On-demand remote asset management, inspection and video. Safe, sophisticated and enterprise ready. Visualize remote assets in real time or receive conclusive reports based on the assets you require regular inspections for. 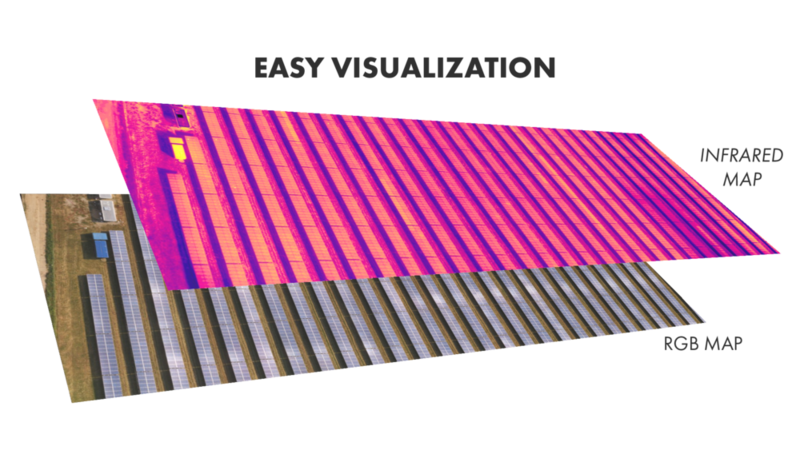 Thermal imagery offers huge advantages for rooftop and solar panel inspections and various insurance operations. We eliminate the need for manual inspection and the risk of crashing into assets by inspecting from a distance. Make your marketing or property stand out with professional cinema grade aerial video or photography. Sometimes custom mapping is tricky. We implement the advanced techniques to create detailed linear maps of corridors. 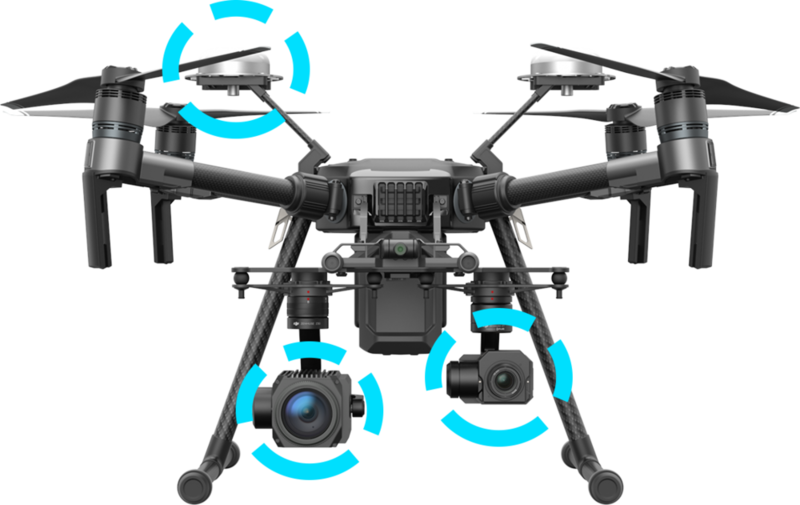 We work directly with local law enforcement and other relevant parties to formulate the most concrete plan for a drone equipped first-responder program. 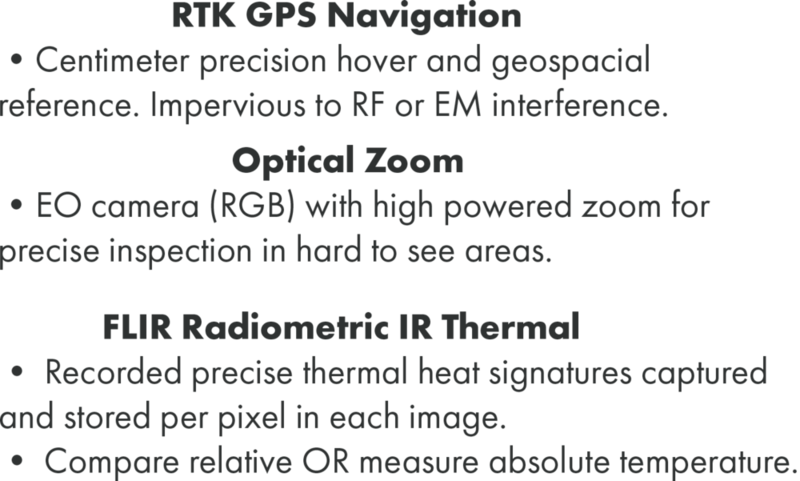 high precision data crafted by professionals for professionals. Special pricing for reoccurring projects. Maximum site size is 100 acres. Additional quote for sites over 100 acres.